"NOSCRIPT" This helps block malicious scripts from running. FLASHBLOCK This allows you to selectively load adobe flash player objects. If you need flash to play games, simply click the arrow to enable that object. This is allowed since most browsers don't even come with flash. Do not whitelist neopets as one type of CG uses a redirection of http://images.neopets.com/flash_version_check_v1.swf? to steal cookies. KEYSCRAMBLER ADD-ON. For protection against key loggers (programs that record everything you type) It's no use changing your password if every key you press is being sent to the "hacker"
REQUESTPOLICY. RequestPolicy is an extension that improves the privacy and security of your browsing by giving you control over when cross-site requests are allowed by webpages you visit. 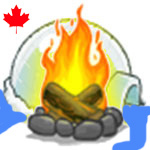 RECENT UPDATES - March 11th, 2010 It appears that accounts that have not been logged in are getting broken into. Thus it is possible that the neopets DB could have been accessed, etc. Thus is it best to change this password every so often. FAN SITES make sure your neopets/email account password is DIFFERENT from the passwords you use at fan sites. To block neopets ads, follow the instructions here: http://www.neopets.com/~saudor#adblock For tips on blocking XSS exploits, please scroll above. I have some kind of awful virus/worm/trojan thing on my computer. The day I got infected I had only been to neopets, a few neohelp sites, and Cnn.com. Ditto Nicole. Thanks for posting Dmitri. thanks for the tips, Dmitri! I was oddly logged out once last week and I signed back on and immediately changed my password and made sure the email hadn't changed. I chance my word at least once a week and anytime I snipe something or any time I get that feeling in my gut. I tried NoScript is annoyed the tar out of me. Thx for the tips Dmitri. I didn't know you could get CG'd just by being on neopets o.0 *is more paranoid then ever*. Does anyone know any tips on how to stay safe on IE8? Does anyone know any tips on how to stay safe on IE8?